The JBL PMB pole-mount bracket lets you ceiling-mount four JBL Control NOW or JBL Control NOW AW loudspeakers. You can mount them on walls and around corners, too. Arrays of JBL Control NOW speakers can be mounted virtually anywhere: on walls, on ceiling poles, even around corners. Use the JBL PMB pole-mount bracket to install them. High performance meets high style. 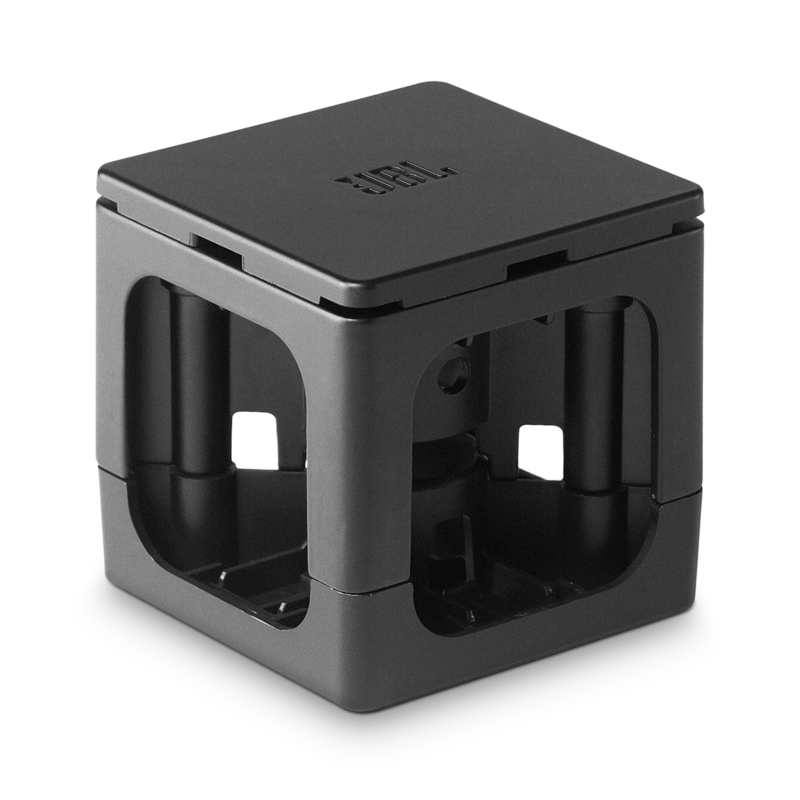 Wondering if the JBL PMB pole-mount bracket is right for you? Don’t worry. It works with a variety of general-purpose ceiling-fan-pole assemblies. Just check with your fan-pole-assembly’s manufacturer or dealer to determine whether your specific pole-mount assembly can attach to the PMB and handle the weight and proportions of JBL Control NOW loudspeakers. Install your JBL Control NOW speakers almost anywhere. Our engineers and designers have enclosed each JBL Control NOW™ and JBL Control NOW AW speaker in a 90-degree curved enclosure that looks good everywhere. This unique enclosure can form circles, semicircles and other configurations. And with the help of the JBL® PMB pole-mount bracket, you can get the speakers off of tables or shelves, out of the way of your guests and into a variety of places – wide but short spaces, tall but narrow spaces, and just about anywhere else. The PMB lets you install two speakers in a half-circle array on a wall, four speakers in circular arrays on the ceiling or even three speakers curling around a corner. Great JBL sound has never come with so many different installation options. JBL Control NOW speakers are not just an achievement in sound but also the most physically versatile speakers we’ve ever developed, and the PMB is ready to help them reach their full potential not only as a sound source but also as a handsome, stylish element of your décor.